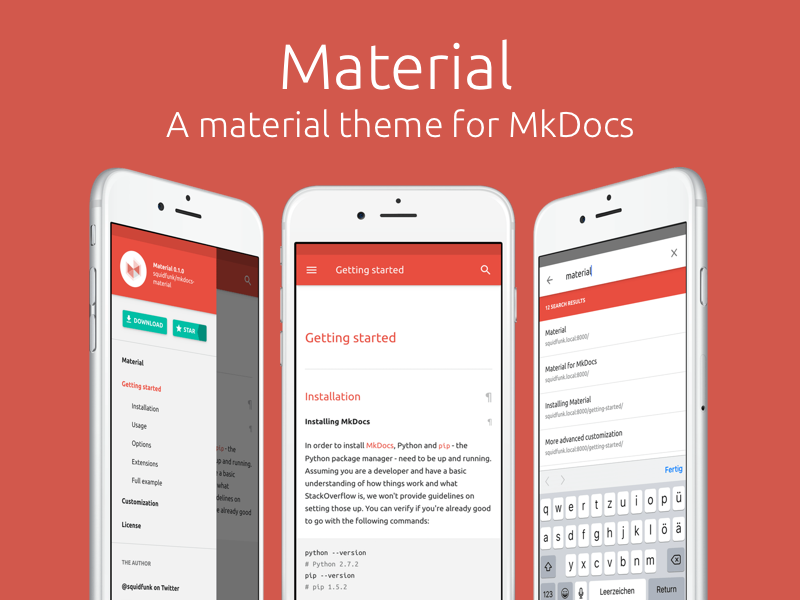 A full responsive MkDocs theme in the spirit of Google’s material design guidelines. MkDocs is an excellent static site documentation generator that is meant for building good looking project documentation. It is highly customizable in terms of fonts, colors and gracefully supports older browsers. iPhone mockup for Material Design? 😀 but Why? Is it possible to focus the current site in the tree on the left? I have a long tree but the focus does not stay in position but flips to the top after each click that is located at the end of the tree.